It's totally awesome, JJ! Outstanding! 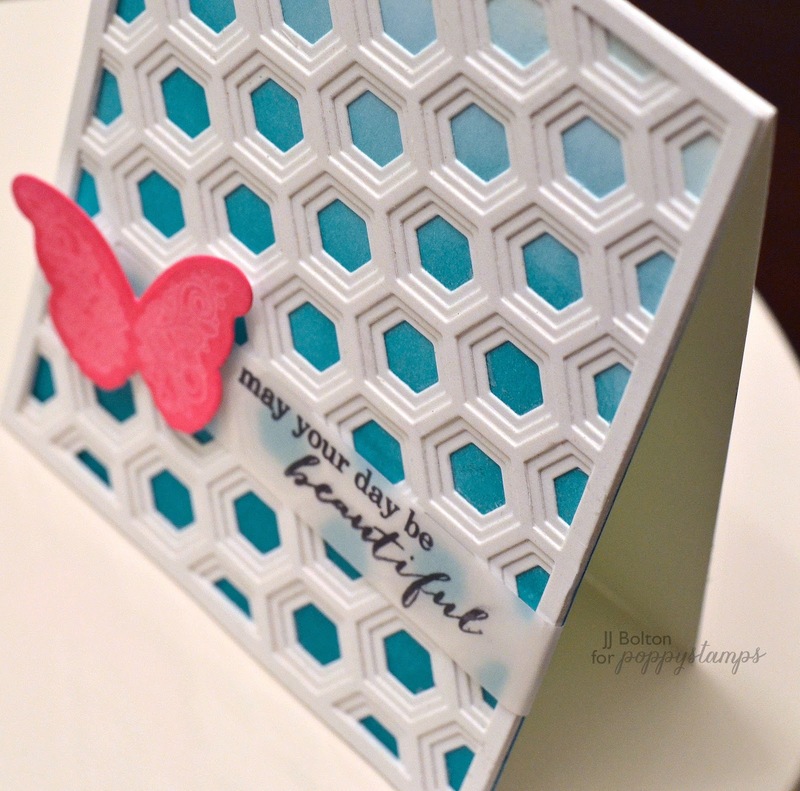 Wow, love this dimensional die! This is so pretty, JJ! I love the pretty color combination and the beautiful design! Im oohing and ahhing like looking at fireworks - amazing ombre background JJ! JJ this is gorgeous! Looks like we had the same ideas with blended backgrounds . I love these layered dies and think white is beautiful ! Gorgeous card! Gorgeous card! And the white does look beautiful over the ombre colors. Beautiful card! I love the effect you got on the butterfly, and the dimension from the Honeybee Layer Set looks fabulous! Love these pretty dies! I love your card, the butterfly is stunning. These dies are going on my wish list. Elegant yet so beautiful with Ombre look and this stunning butterfly enhances the beauty of your creation! Beautiful. I like the dimension of the background and the color of the butterfly. My first words were elegant, but then do you say a geometric design is elegant, but I really do think that the best word to describe your beautiful card. I love anything honeycomb and you have really done a fantastic creation. I love the ombre effect in the background.Well done! Amazing card, so simple but has that something special. Love it!! 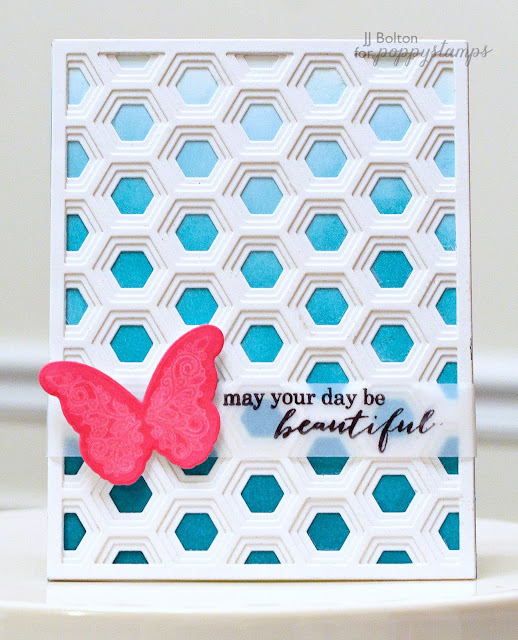 Hi JJ, This card is great, I love the texture from the background die, and I love, love, love, the lacy effect you have created with the water stamping on the butterfly. I LOVE that layered background. Wow now that is one awesome background. Striking card! Love the geometric shape of this background. I never considered white on white. The graduated color under it really makes the entire card pop. Thanks for such a wonderful idea of how to use these dies! 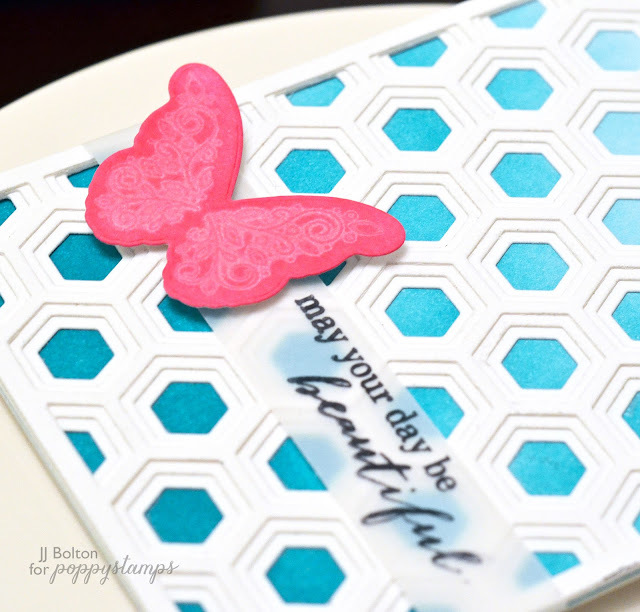 Awesome the way you added a sentiment and butterfly and let the dies be the focal point on the card. These dies are fantastic. Simply elegant card. I love the ombre colored background. So beautiful design and color! Your design is lovely! I love the gradient layer of blue behind the die-cut panel, and the pink butterfly is so beautiful. I think you did a fantastic job! I love the white on ombre combination. Great card. Lovely, clean and simple design. It all works. Love all the dimension you get with these dies. Great design. I love white and CAS so to me your card is stunning and shows you don't need colour to let these dies shine. This is Beautiful JJ! Love the ombre background with the white layers! Hi JJ, love this gorgeous card design, show the fabulous background dies of to perfection, beautiful colours. I agree, love that beautiful blue ombre against the pretty white stacked die cuts! I love how you created the ombre effect with this cover plate, JJ! Such a gorgeous butterfly, too! I love those dies! I definitely need to try these next time I'm over! 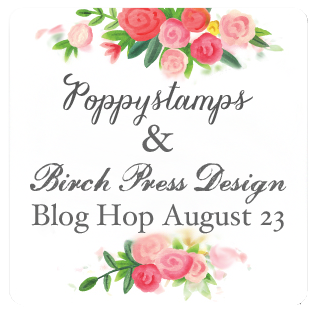 Love your gorgeous card & that awesome layering die! The added dimension is wonderful! What a beautiful, color palette! Love that gradient effect you've done in the windows! amazing the kinds of dies they have. 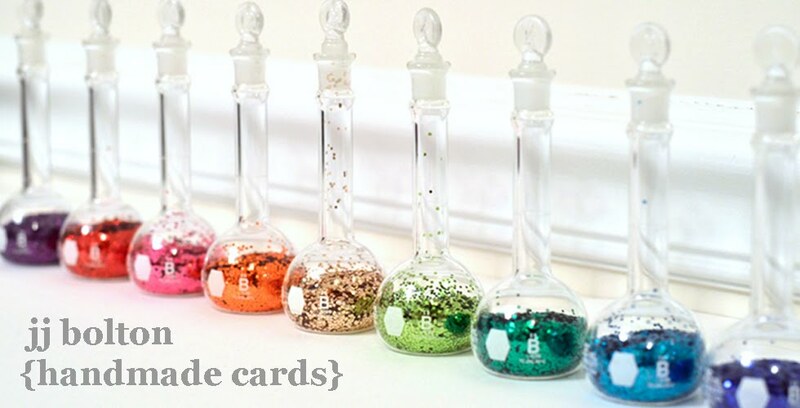 Wow, some fantastic new looks in dies......... and uses! LOVE your ombre panel, ADORE your ELEGANT honeybee layers, LOVE IT ALL!!! Very pretty card! Love the dimension you get with the Honeybee Layers dies.